Maneka Gandhi said that she would urge women from all sectors to come out fearlessly and report cases of sexual harassment. NEW DELHI: The Ministry of Women and Child Development will set up a committee of four retired judges to examine complaints that have come to fore from the #MeToo India movement. The committee will look into the legal and institutional framework, which is in place for handling complaints of sexual harassment at workplace and advise the ministry on how to strengthen these frameworks. Recently, several women have come out on social media — both identifying themselves and anonymously — against people who have allegedly sexually harassed them. The #MeToo India movement has found resonance among women from Bollywood, media and advertising fields. 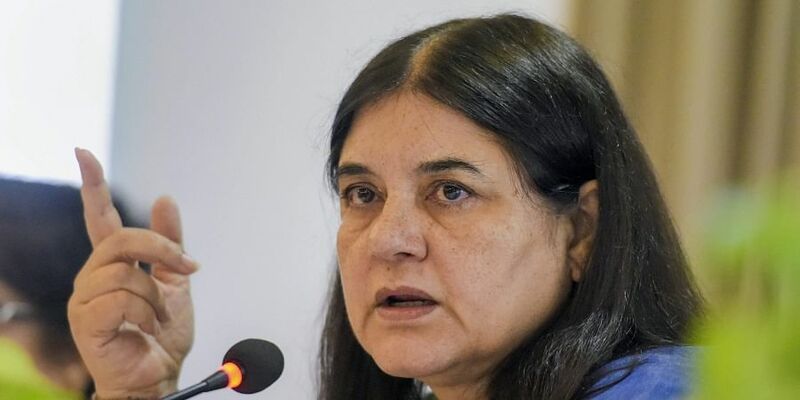 Maneka Gandhi, Minister of Women and Child Development, said on Friday that she would urge women from all sectors to come out fearlessly and report cases of sexual harassment. The ministry would provide “all possible assistance” to the women, an official statement said. The statement said women can report their grievances in cases related to sexual harassment through multiple mechanisms. Complaints can be given to internal complaints committees (ICCs) or submitted through its She-Box (www.shebox.nic.in), which provides a single window access to women, irrespective of their work status to register complaints. Women can also mail at min-wcd@nic.in or tweet at #HelpMeWCD and the ministry will take up the complaints with the authorities concerned. The statement said the ministry follows zero tolerance towards sexual harassment of women at workplaces. This would extend to part-time and full-time female workers in organised and unorganised sectors, said the statement.The ministry said it would ensure workplaces are conducive for women employees, ICCs are in place as required and investigations into complaints are carried out in swift manner. Several women journalists have come out against M J Akbar, Minister of External Affairs, accusing him of sexual misconduct. The Congress had earlier demanded that Akbar should quit amidst the growing number of allegations against him. Union Minister Smriti Irani had said that the onus is on Akbar to respond on this issue. So far, Akbar has not reacted on the charges and is expected to return to India on Sunday from Nigeria.